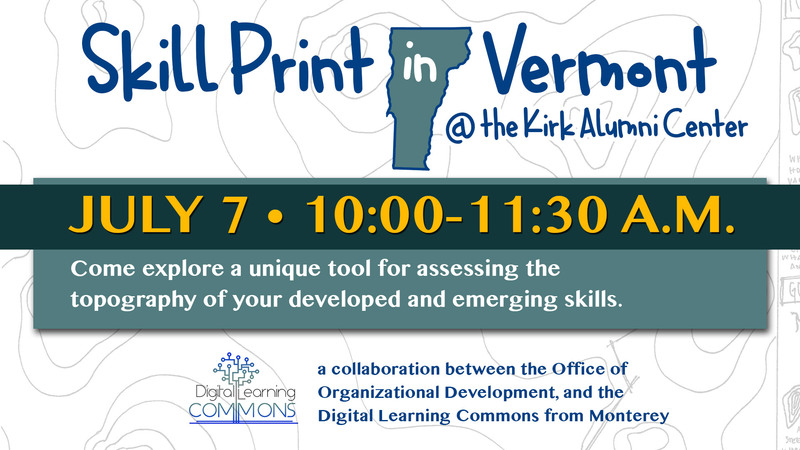 Skill Print Workshop in Vermont! 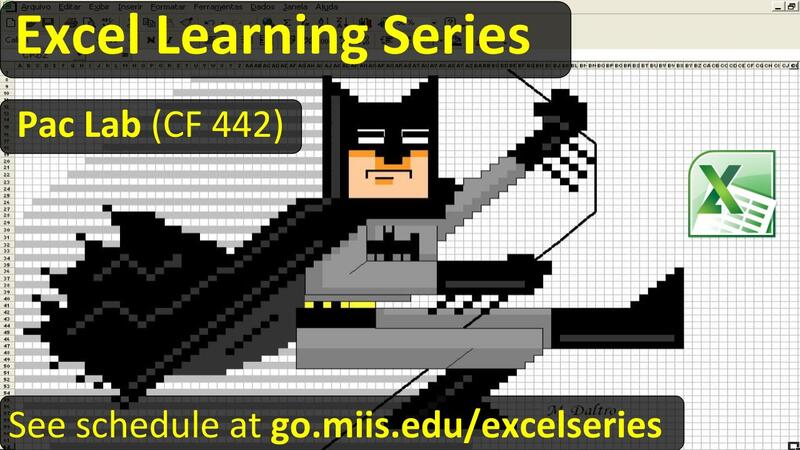 The Digital Learning Commons from Monterey is leading a workshop in Middlebury, Vermont on Thursday, July 7, in collaboration with the Office of Organizational Development. Join us in exploring a unique tool for assessing the topography of your developed and emerging skills. During this interactive session, you will have an opportunity to make your own skill print, and discuss how stress points, replenishing factors, and growth patterns play a role in your skill landscape. 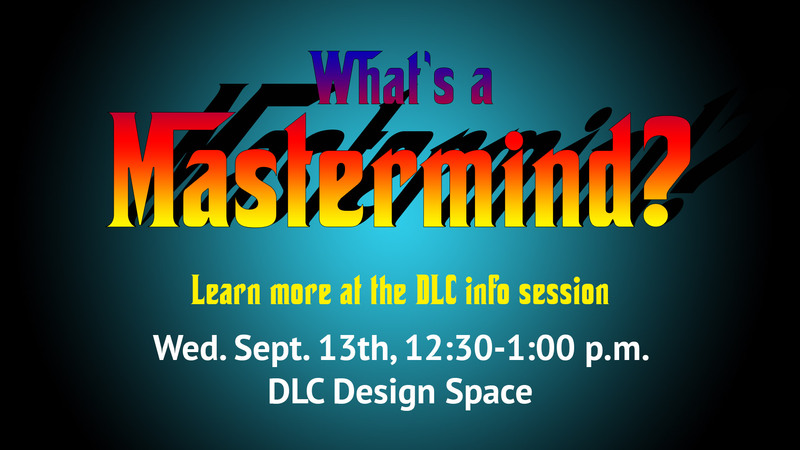 Come learn more about yourself as you try out something new! We will lead you through some self-discovery questions, then give you time to fill out and color in your personal map. 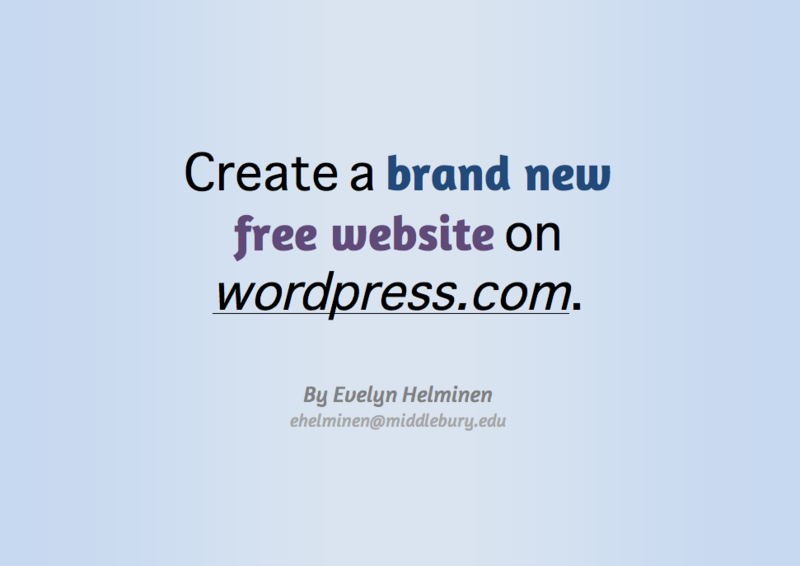 Plus, get to know your colleagues from the Middlebury Institute’s Digital Learning Commons! Thanks to the Stanford D School for the idea!